Luke 14:23"And the lord said unto the servant, Go out into the highways and hedges, and compel them to come in, that my house may be filled." This is a wonderful ministry that strives to fulfill the command of our LORD. 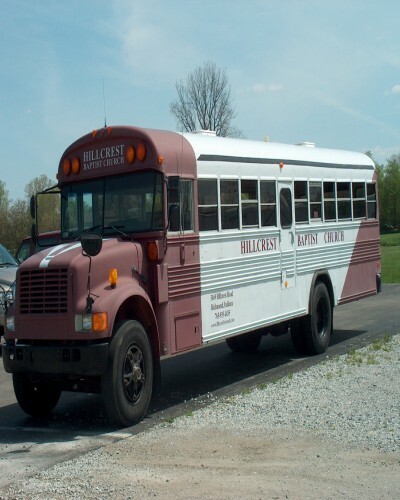 Our bus operates on Sunday morning and arrive in time for the 10:00 morning service. Children between ages 5 and the 12th grade have their own classes at that time that are geared specifically for them. The bus departs the church between 12:30 and 1:00pm. We also operate an adult shuttle van for Sunday morning and evening services. If you would like more information or a pickup, please call the church at 935-1435.